They say it was a nerve agent called “Novichok”, developed by the former Soviet Union in the 1980s, which left a British agent and his daughter in a critical but stable condition. Its formula ceased to be a secret long ago, its inventor now lives in the United States, and a version of it no doubt resides seven miles from the Salisbury crime scene at Britain's own nerve agent weapons base at Porton Down. So what do we know so far? The nerve agent was present in Mr. Skripal’s house because that is where it is said that the brave police officer DS Nick Bailey was affected. The substance did not affect anybody in the Salisbury pub and restaurant where the couple visited, nor did it affect the doctor who treated them on the park bench for half an hour. It reads like the plot of a 1960s spy novel. So who better to deconstruct the events which have put Britain on a collision course with Russia than Alexander Nekrassov, former Kremlin and Russian government adviser, best-selling novelist, and redoubtable media commentator. 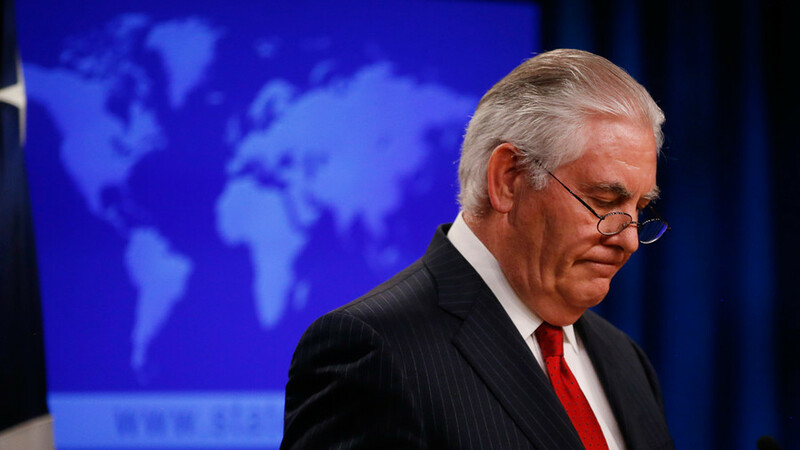 Rex Tillerson, the billionaire oilman turned diplomat, has been jettisoned by President Donald Trump to be replaced by CIA Director Mike Pompeo. He, in turn, will be replaced by Gina Haspel, who could become the first woman to head up the CIA. Will it be a kinder and gentler organisation in the future? Probably not. Trump has often spoken out in favour of harsher interrogation of suspects, so Ms. Haspel might just fit the bill after her stint running a controversial prison in Thailand. And, according to Fox News, the appointments signal “case closed” in the congressional investigation into collusion between Trump and Russia. What does it all mean? To help us understand we invited Republican Abroad and American Charlie Wolf.